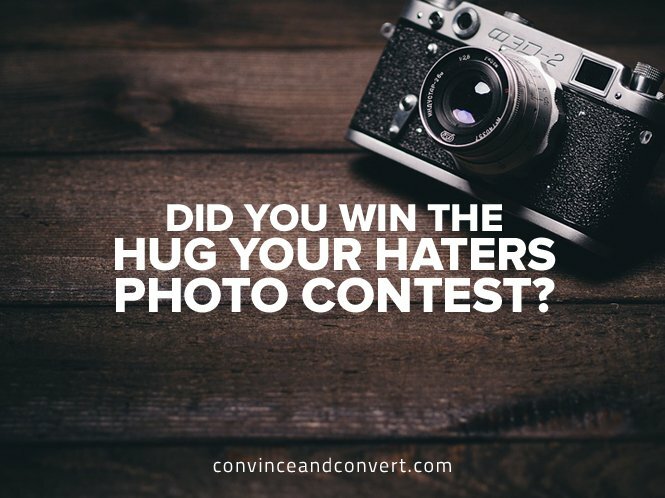 Did You Win the Hug Your Haters Photo Contest? 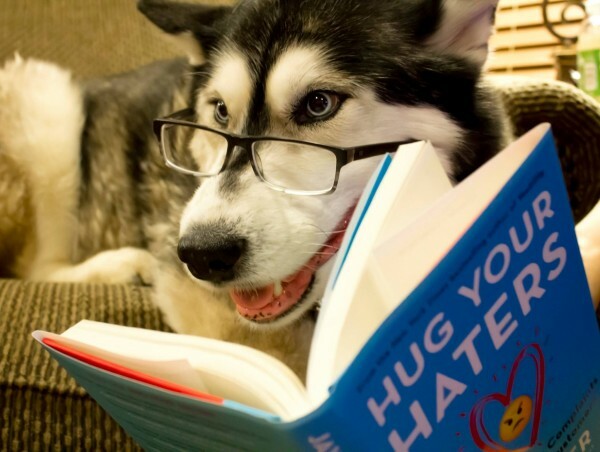 It’s been 8 weeks since the launch of my newest book, Hug Your Haters. (if you haven’t grabbed a copy, I’d love your support). I’ve had so many people contact me and say that the book is helping them change their internal processes and approaches to customers. Thank you! AND, we have fifty-three 5-star reviews on Amazon out of fifty-seven total reviews. Awesome! I’ve seen tons of photos of the book in the wild, including many from readers and fans who entered the official Hug Your Haters photo contest. My teenage kids picked the winner, and first place is a $250 Amazon gift card. After much deliberation, the winner is…. Jarrod Lyman, with this amazing entry featuring his dog, Zephyr. Jerrod is the social media manager for Mt. Hood in Oregon, and is a long-time Convince & Convert reader. “When I first read about the Hug Your Haters contest, I wracked my brain trying to come up with something I thought had a chance to win. I know Jay’s readers are a creative group, so I’d have to step up my game. Then I realized my solution was sitting in a chair at home, everyone loves dogs and Zephyr (Z-Dog for short) is definitely a gorgeous husky malamute mix. (Huskamute) He’s a pretty calm dog so he tolerated the photos fairly well. Great job Jerrod (and Z-Dog)! Thanks for your support of Hug Your Haters! Your gift certificate is on the way! I set a goal of having 100 Amazon reviews of the book by May 15 (~ 10 weeks after launch). We’re more than half-way home, but I need your help to get there. Just leave an honest review of the book on Amazon before May 15 (please read the book first!) and send an email to Leanne@JayBaer.com with a link to your review. We’ll randomly pick 5 reviewers who submit new reviews between May 1 and May 15, and winners will be featured in a blog post (and maybe video) right here at Convince & Convert.